BollywoodGaram.com: Bollywood celebrities had their own way of celebrating the New Year. While some stars stayed in Mumbai for the celebrations, many opted to go abroad. 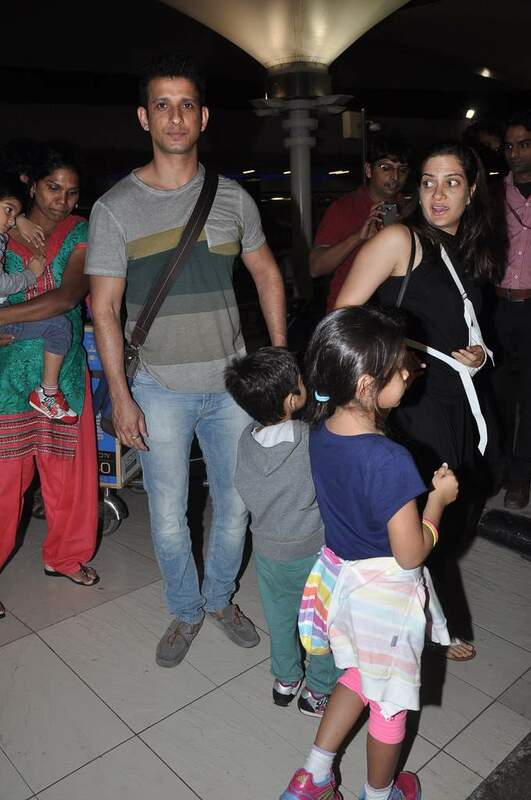 Actors Alia Bhatt, Gul Panag, Sharman Joshi and Ekta Kapoor were spotted returning from their New Year’s vacations. Alia – the daughter of filmmaker Mahesh Bhatt – had an interesting year and is now looking forward to a great 2014. The actress has three movies lined up for 2014 – which are considered to be major releases – including ‘Highway’, ‘2 States’ and ‘Humpty Sharma Ki Dulhania’. Bhatt’s movie ‘Student of The Year’ proved to be very successful at the box office in 2012. The actress started off as a child artist in the movie ‘Sangharsh’.